This game WAS cool, but now.. Ever since you added these new mascots, things don't feel like the original. I loved the old lightning blade, I don't believe you can get it now. Half brick, you officially ruined a once amazing game to me. Now I don't see that little pig that much, and this game is just... Not my favorite. If you brought back a lot of old blades and stuff, I might play this again. I enjoy playing this game but often, when you swipe on a fruit, it doesn't slice it. Especially the power up ones. What's up with that? I used to play the game and the simplistic style was beautiful. The menus were great, and the challenges were fun to try and gain. Even with the annoying currency system you guys put in, you still had the challenges. That's what gave it replayability! Now it's just another grind through levels! Why did you ruin a perfectly good system?!?! The challenges were what made the game unique! This hurts. Great game has a few things that could make it better. First off I want to say this is a really fun game and it is OK however the leveling is rather slow you should boost it somehow and I feel more blades per level would help a tad but mostly speed it up because us gamers want to eat the game and move on not keep playing it for hours. Halfbrick, you don't know that you made the BEST game in the world. I LOVE the addition of XP(P.S I'm already on Level 19) and blade and dojo powers! There's an awesome blade I want called the Golden Ember Blade and it's only $9.99! That's a BIG change from Fruit Ninja Free in which it was $14.99! 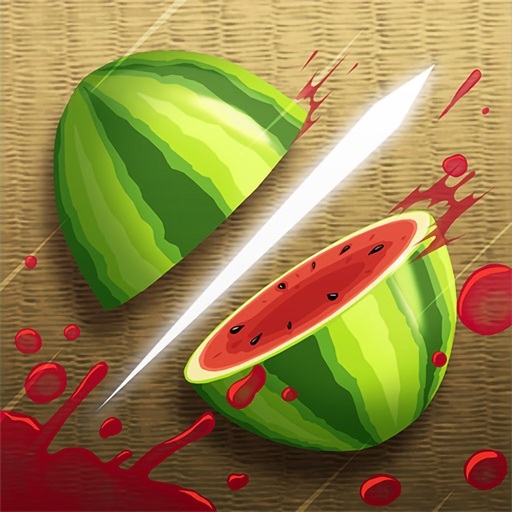 I rate this game 187 out of 100 and I recommend ANYONE who likes slicing fruit to get it RIGHT. THIS. NANOSECOND.